Let's face it Q3 was not the best one just like Q2. I'm still trying to restart my sewjo and blogjo :) but somehow the real life is taking over. I kind of miss my alternative creative and blogging space so maybe it's the right time to actually do something. Therefore I just keep my Q3 list and add one more thing. Pouches. Yeah I still have that pile of in progress pouches I wanted to finish in September. 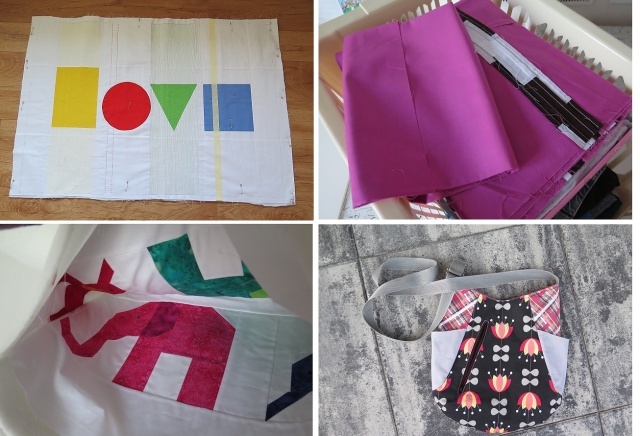 Here is recap photo collage of those poor projects I keep "dragging" from quarter to quarter. I actually finished 2 bears. I have also alternate the pattern as the material called for Koala bear. I already gave one away and my current pile in progress looks like this. I love that you have so many pouches on hand to gift, Vera, and I always look forward to seeing what you make. Vera, I am just like you! I need two more of myself so that I can make everyone happy. 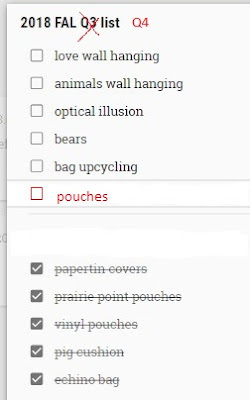 I am really inspired by your pouches. They are very modern and unique. classy too.